Hi guys, I just wanted to wish you all a belated Merry Christmas. Although as believers we do not need a special day out of the year to remember the birth of our Lord and Savior. I will be off until the 1st of January and then I’ll be up and running again. I plan on posting my annual VBS poll in the month of January as well. Sooo… keep your eyes out for that. Remember that I only plan crafts for the top two VBS programs. I also plan on expanding the curriculum section on my blog, starting first with the attributes of God. I have a few more plans and ideas in the works which will hopefully work themselves out during the year. Again I want to wish you all a Merry Christmas and Happy New Year! 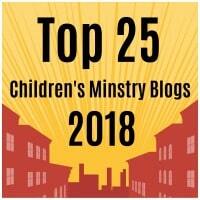 May God continue to bless and grow your childrens ministries. My prayer will continue to be that the children that attend your programs and services come to the saving knowledge of the Lord. This entry was posted in Bible Crafts, Updates and tagged bible crafts, Christmas, message, new year, plans, update.